Rediff.com » Movies » Komal is unlucky in love! Komal is unlucky in love! Get your lowdown on what's happening in Kannada cinema. It's been six months since he has had a release but Kannada actor Komal is in no hurry to sign new films. Kal Manja's success has encouraged him to sign only those films that come with worthwhile scripts. It's not that the popular comedian has been idle. Maryade Ramanna, a remake, is set for release and Komal is busy with Govindayanamaha, directed by Yograj Bhat's assistant Pavan Wodeyar. Govindayanamaha is about a man named Govinda (Komal) who is unlucky in love. Harish Raj is also part of the cast. "There is a situation in the film where the character I am playing contemplates suicide by jumping off a building; maybe that's why they chose me!" jokes Harish, referring doubtless to his threat to jump off a theatre building after his film Gun was withdrawn from theatres following the poor response it received. "Here I will be seen considering a jump from an 11-storey building. The crew asked me if I was afraid of heights and I joked that I have done this before! Anyway, getting back to the story, it is when I go to this building that I meet Komal. He, too, has come there to end his life," says Harish. Along with Komal and Harish, there are four leading ladies: Russian actress Hanna, Hyderabad lass Modalika, Gujarati model Parul and Rekha of Hudugaata fame. Sixty per cent of the film is completed. The music is by Gurukiran. Actor Shivarajkumar's enthusiasm for making Kannada films seems to increase by the day. Even as the actor looks forward to the release of his hundredth film, Jogayya, he is wrapping up several other projects. Lakshmi, Shiva, Simha, Varada, Operation Golden Gang and Punyavantha are some of his impending projects and now added to the list is an untitled film by director Phaneesh. "In this film I hope to bring out the mature actor in Shivarajkumar," Phaneesh says. The film is based on the platonic relationship between a man and a woman and explores certain human values. Malayalam actress Parvathi Menon, who is famous for her pairing with Shivanna's brother Puneet Rajkumar (Milana and Prithvi), has been roped in as the heroine. The film will go on the floors in January 2012. Malashree is back to show off her 'shakti'. The actress, who over the years has limited herself to action films, is back after a two year gap with Shakti. She has even shed 10 kilos for the role. The film is being produced by her husband Ramu. Malashree plays the role of a woman who stands up for justice and fights corruption. 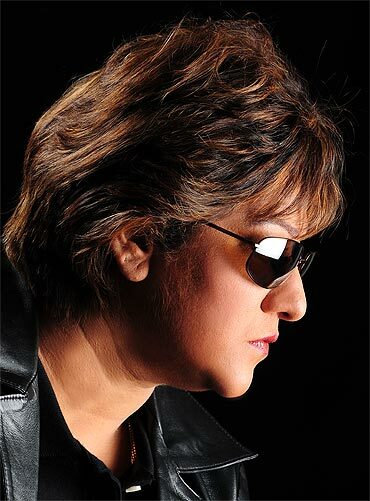 It may be recalled that her previous outing, Kannadada Kiran Bedi, had a similar theme. She performs several daredevil stunts in the film. The action directors for this film are Thriller Manju, Ravi Verma and Ram Lakshman. 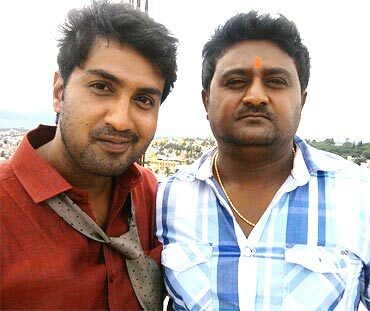 Anil, who has written dialogues for films like Kempegowda and Orata I love you, makes his directorial debut with Shakti. He has written the screenplay and dialogues as well. Shooting has just begun and will be completed in 75 days. Ravishankara, Sadhu Kokhila, Vinaya Prakash, Sayaji Shinde, Sharath Lohitashva and Avinash are part of the cast.